What I really want is a cuppa and a chat! Loser you – good god, Lisa – you have achieved so much, and I look up to you. It was a pleasure to be in the company of so many talented women and men on Friday. I considered it an honour to be there. I think that everyone that made it as far as they did should be incredibly proud of their achievements; yourself included. Keep on doing what you are doing I say! Thank you lovely – and right back at you – amazing to have got so far with such a young blog! @bex – yes exactly – at the end of my life it’s more important that I don’t feel I missed out on things with my kids I think, so I just have to work with my limitations. BTW I could so compete for the chocolate eating award with you! Thank you lovely! Same back to you, hope you enjoyed your first MADs? I had so much fun sitting next to you helen – wish I could have stayed longer, but baby was calling :o( I wonder if Myleene knows she has a new stalker? ‘Myleene, Myleene, come over here Myleene, I love you Myleene’ – LMAO!!! Notice how you got the best position with her in the photo too!!!! Awwww really – I didn’t know that @anya – that’s lovely! We are so going to have to make our own blogging event where we can just chat lots! It’s a pleasure Fiona – you made a lovely winner and I was really chuffed for you! You’ve put a hell of a lot of effort into your blog and social media strategy and I hope it makes your gorgeous farm fully booked for the whole of next year! Thank you lovely @makeshiftmummy – yes those evenings are really fun aren’t they. I come away with so many people I didn’t get to talk to though! Nah, you’re not a big fat loser, flower. And you know why? Cos you’re lovely, you are, and that means you could never be a loser. Awww thank you @crystaljigsaw – and right back atcha! I’m thinking next year we get them to have a ‘blogger who wrote a book’ award – then you and me can be up against each other and have a good chinwag at the awards (obviously assuming that we kill off anyone else who has also written a book in the meantime!). I was just so grateful that for the BIBs and the MADs there was a travel category as I would never have reached the finals otherwise. Having a sort-of niche blog helped a lot. But I was writing the same things in all the years I wasn’t nominated for awards and I don’t think I’m doing anything differently – sometimes it’s just whether you are on people’s radar when they are considering nominations. It was lovely to meet you properly this time @Trish – yes I think that you are right in that the radar has a lot to do with it. There are lots of amazing bloggers who used to be up for these awards who we don’t see around much – but they are still blogging and getting lots of readers. Plus as I said, you won ‘coolest sponsor’ award with your night on a yacht! Just look at that big smile – gorgeous (you have amazing teeth btw, have you had them ‘done’?!) I hope this post really doesn’t mean you’re sad on the inside, but I don’t think it does. You’ve achieved so much, and quite rightly need to take a rest and sort your body out rather than push on an wear it out completely too soon. Really wish I could have been at the awards ceremony just to spend time with all you lovely ladies. When I read ‘Frankly if you love your kids, are dealing with your problems or asking for help with your problems, and are doing the best you can, then you’ve pretty much cracked it and deserve an award’, I instantly thought ‘right, well where’s mine then?’, then I scrolled down and saw you had thought of that! You are Fab too :). LoL @StephsTwoGirls, the only reason you can see my teeth so well is because I’m a bit ‘goofy’ and still have an overbite despite years of orthodontics! Oh yes you definitely deserve that award lovely! Lets hope we get to meet up again soon for pizza/cake in good old Snorbens! 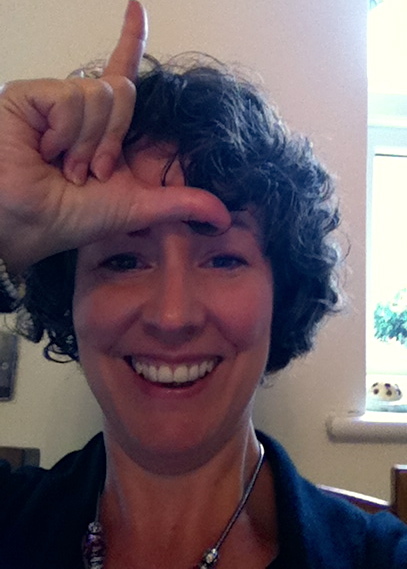 @nickie must admit I was shocked to find out that you are as much of a loser as me! At least I know I’m in bloody good company! LoL @Jennifer – I think that the fact that one of the bloggers is you really makes the picture!